This National Volunteer Month, we’re celebrating the many volunteers that help us build better lives for people facing homelessness and poverty. We recently hosted a group of student volunteers from Rutgers in honor of the University’s 10th Biannual Community Engagement Day. 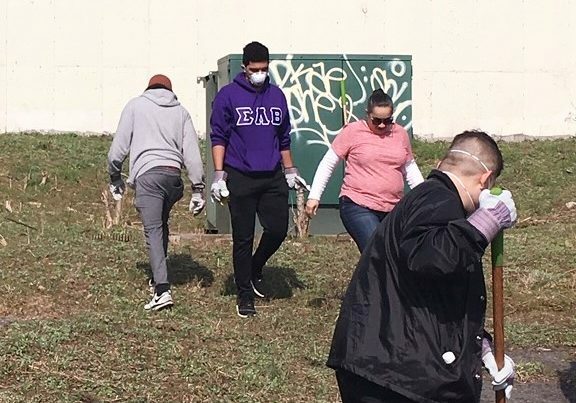 The students beautified the grounds of JBJ Soul Homes in Newark, and Jon Bon Jovi stopped by to tour the apartment building and speak with residents and local community members. 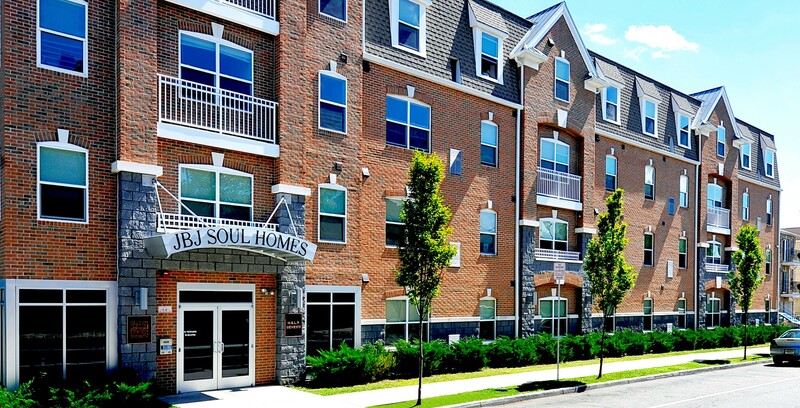 Help us build more affordable apartments like JBJ Soul Homes. JBJ Soul Homes has 51 apartments and is home to low-income families and people living with HIV and AIDs. 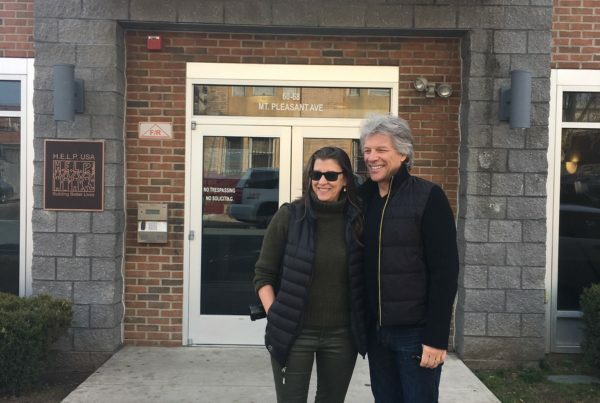 The beautiful building was created in collaboration with the Jon Bon Jovi Soul Foundation, a longtime partner of HELP USA and a leader in the fight against homelessness and hunger. The building is one of three HELP USA housing developments in Newark, which are all home to people who are formerly homeless or low-income. 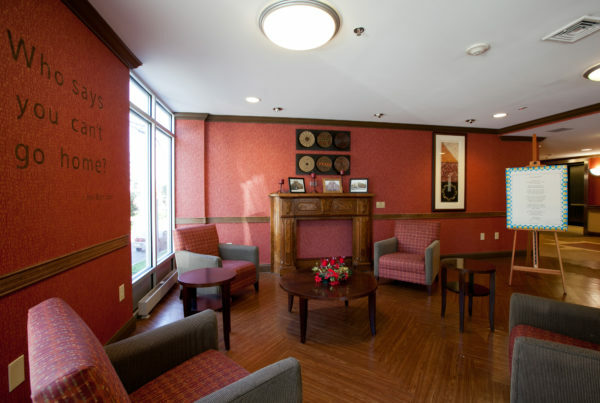 Residents include families, single adults, seniors, people living with HIV/AIDS, and veterans. © 2019 HELP USA. HELP USA is a 501(c)3 tax-exempt organization. EIN 13-3770118.